After a successful opening race in Australia, team Mercedes will be eyeing there chances in the second round of F1. The second race of season will take place at Shakir Circuit in Bahrain. Mercedes was able to 1-2 in Australia it was a prefect start for them as Bottas won the race and while Lewis Hamilton secured the second spot. It was a disappointing race for their rival Ferrari as they were unable to challenge Mercedes. Moreover, Max Verstappen piped Sebastian Vettel to claim podium in Australian GP. Ferrari will be excited to go in the second round as they had some good memories here. Sebastian Vettel won the Bahrain GP last year, however, Kimi Raikkonen was unable to capitalize after starting from the front row. Sportsfeista brings you complete details of F1 Bahrain GP 2019 Live Stream, Schedule and Live Telecast Information of Bahrain GP. The 2019 season will live stream at F1 TV world wide, Hotstar in India, In Asia it will be Fox+. In UK the live streaming will be available at All 4 & Sky Sports. In United Stated the live streaming will be available at Watch ESPN & Univision Now. For fans in Middle East the live stream will be on be IN Sports Connect. Australian fans will watch live stream on Fox Sports Australia and Tenplay. Germany TV Now, China Tencent Sports, Canada TSN App, RDS App, Japan & DAZN. F1 Bahrain GP 2019 Live Telecast Information. Formula 1 2019 Live telecast information is here. F1 fans in India will get see thrilling action live at Star Sports Network, Fox Sports Asia in Asia. Australian fans will get to see the race live at Fox Sports Australia and Network Ten. For Canadian fans F1 action will be brought live by RDS & TSN, US fans will get to see it ABC, ESPN & Univision. For the fans in the UKSky Sports, Channel 4 and will bring the live coverage. The Shakir Circuit construction began in 2002. 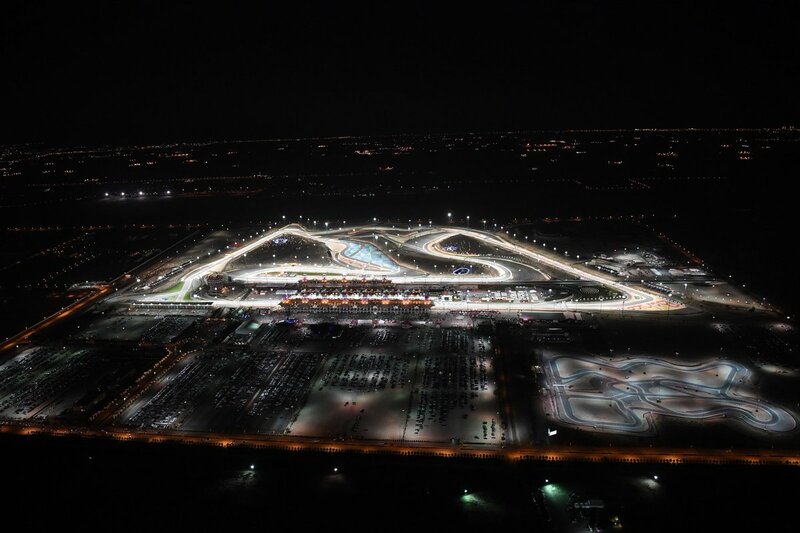 In year 2004 Bahrain International Circuit hosted its first Grand Prix. Drivers will go through 57 laps of this circuit. They will cover a total distance of 308.238 KM. The lap record is 1:31.447 by PEDRO DE LA ROSA in 2005. 2018 race winner was Sebastian Vettel. Vettel was followed by two Sliver Arrows Bottas & Hamilton. Vettel was able to secure the pole position last year. NASCAR O’Reilly Auto Parts 500 Live Stream, Race Schedule & Live Telecast Information of Monster Energy NASCAR Cup Series.